I pieced the back with fabric from the same line. 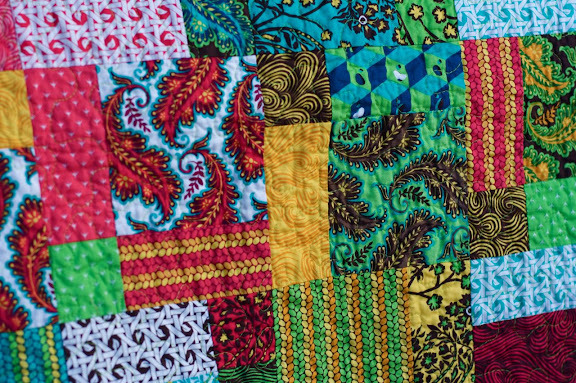 what a bright and colorful quilt! love the disappearing nine patch. will need to do one of those in the near future. Love this! Her fabric is so fun, and vibrant - some of my favorite too :) The disappearing 9 is a great use of all those charms! What an amazing combination of colors. I just love it! Lovely! I'm a huge fan of this pattern. I used the same one to make the quilt for my bed. I did mine in blue and green Amy Butler fabrics. I wish I'd seen yours before I started to put mine together, because I sure like the touches of white all over yours. I used assorted fat quarters rather than the charm pack, and didn't have quite as many lights at my disposal -- they really move the eye around your quilt. Love it! Very cute! That pattern is fantastic! I love her fabric! This quilt is so rich in color, it is great. 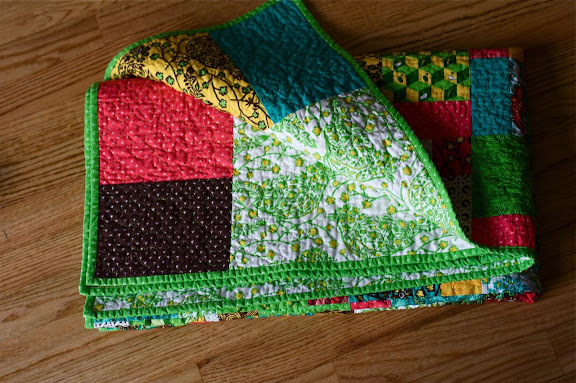 Oh I just love that quilt, so bright and fun! I believe I used 3 charm packs, and then I added several 5 inch squares myself. a wee play quilt like this would be so cute. Oh so lovely lovely lovely! oh, oh, oh! i love it. i've got a nest charm pack and a cake(?) waiting to be made into a quilt. I'm thinking of framing the smaller charm pieces with white and then alternating them. So, in effect this is a reversible quilt? It looks like that. I love it. love it! just another reason why disappearing nine patch is number one on my list of patterns i've got to try! I love this! How many original 9 patches did you use for this size quilt? I love how it looks with the quilting. The color is amazing, so vibrant! Gosh - that is almost cheating!!! love it..
love your colorful quilt! how many charm packs did you use to make it this size? It is adorable! I really love your quilt. 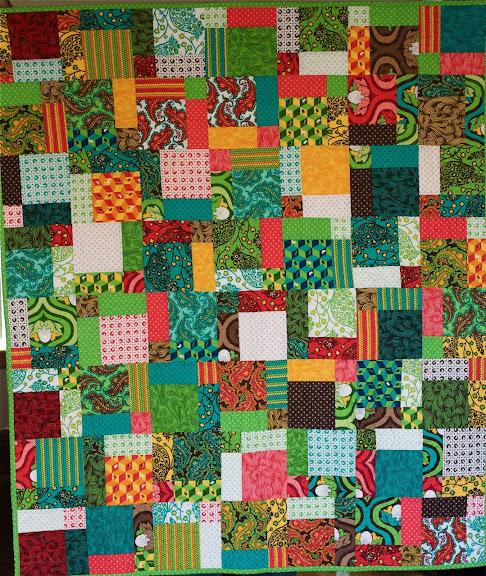 My DNPs have been three color quilts. How many charms did you use for this size of quilt? if my calculations are correct, i made 14 nine patches with 126 five inch squares. (3 charm packs from moda, and 6 squares cut from my stash). Beautiful! 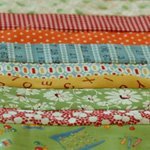 I love to see what people make of these fabrics because I still have the whole FQ bundle in my stash. 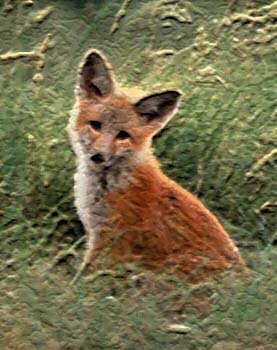 I love this beautiful work of art! It looks great! Isn't that a great pattern for charm packs? I did same pattern with Tula Pink's Flutterby line, but I did add borders. I love Tula Pink. This is such a cute quilt! 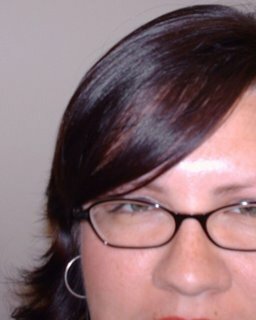 I've been gaga over your blog (over my sister's shoulder) for a while now. It's GORGEOUS!! Your quilts have this 'freedom' look to them that I adore. PLease Please - stop posting Photos of nice projects as I work full time and simply don't have enough time to make the things you are creating inspiration in me with!!!! I love the M.C. Escher-inspired geometric prints!! beautiful nettie! love that nest fabric. Oh, I love this quilt!! Tula Pink is my favorite designer. I love this quilt. what's the pattern you used for it? I'd love to make one!!!! This quilt is so bright and colourful!!! I picked up some charm packs of Nest a while ago and now inspired to use them soon! Stumbled upon your blog and LOVE it!!! Had to comment on this post when I saw your nest quilt...I used the ame fabric and the SAME pattern back in early February to make placemats!! How ironic is that? Great minds think a like! I love your disappearing 9 patch. My quilt club worked with the block before Christmas, but no one completed a quilt. Most of us just made table runners. It's neat to see a complete quilt with the pattern. I am so in love with this quilt!! I was just wondering though, normally, I would wash and dry all my fabrics before starting a quilt, but I guess if you are using charm packs, you can't really do that. Maybe because they are all from the same line, they would all shrink at the same rate? Just curious? wow, a great quilt. and so colourful. 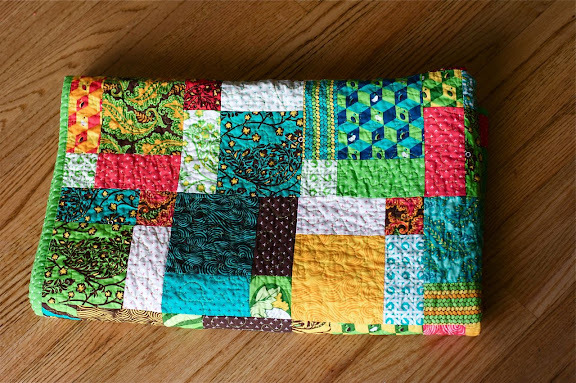 Your quilt is divine, and such a fantastic way to use charm packs. Thanks for the inspiration.